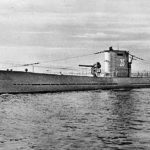 When it comes to being influential in the watch industry, TechnoMarine started a horological revolution the beginning of the Century which is still very popular today. Prior to this duration of time, women’s wristwatches were extremely diminutive in size and chronograph watches were considered just for men. In the very late 1990’s TechnoMarine introduced a line of chronograph watches, named the Techno Diamond Chronographs, designed and created expressly for women with generously oversized stainless steel cases, measuring 39mm or more in diameter. The innovative chronographs also featured sparkling unidirectional rotating bezels with rows of inlaid round-cut diamonds and exceptional carat weights. 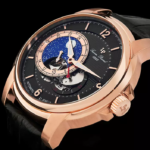 Each was presented on an interchangeable colorful gel strap and offered quality Swiss-made quartz movement inside along with water-resistance to 200 meters, too. The TechnoMarine Techno Diamond took the world by storm and was one of the most-sought after watches at this time. Everyone from film and recording stars to globe-trotting socialites were seen sporting one on their wrists. The collection not only offered a fusion of dress and sports watch styles for women, it made men’s size and chronograph watches popular for women, along with creating various fashion options with the interchangeable straps. Numerous women’s collections and men’s styles were also introduced at the time, while TechnoMarine expanded on its interchangeable strap collection to included everything from leather and exotic skins to genuine mink straps. Fifteen years later, TechnoMarine is still creating innovative timepieces for both women and men and the brand still remains innovative and influential in the world of watchmaking. 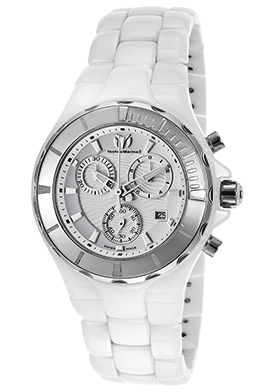 The TechnoMarine Cruise Chronograph for women in white ceramic captures the innovative spirit the brand is famous for. The lustrous oversized case and matching triple-link bracelet are expertly crafted in premium grade white ceramic. The unidirectional rotating bezel in stainless steel is accented by the matching stainless steel crown and push-pieces. The patterned white dial features 1/10th of a second, small-second and 30-minute subdials along with skeleton hands and luminous hour markers. 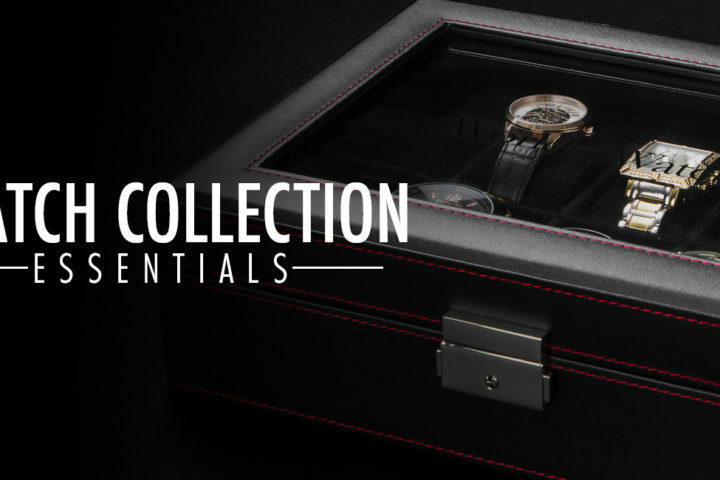 Quality Swiss-made quartz movement inside assures you of time-keeping accuracy. 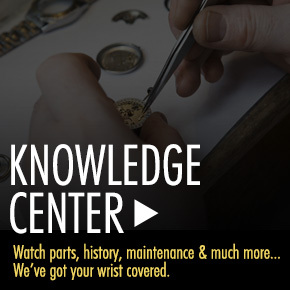 A locking screw-down crown and caseback offer water-resistance to 200 meters or 660 feet. Chronograph is 40mm in diameter and 14mm thick. 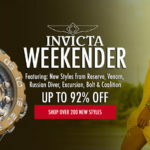 Free shipping and free returns are included on all domestic purchases shipped within the continental United States at WorldofWatches.com. Shop for Mothers day- Save big on Brand Name Watches and Designer Sunglasses for Mom!